It's the end of an era for Sports Illustrated and the beginning of one for NBC. 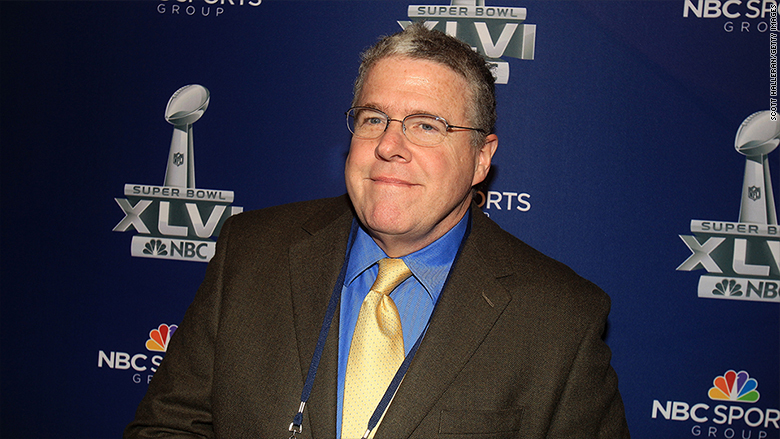 Peter King, the longtime NFL writer, is leaving his post at Sports Illustrated after a 29-year stint. King has signed an exclusive agreement with NBC Sports that will begin in July. He will write a weekly Monday morning NFL column for NBC Sports' website, as well as make regular appearances on NBC Sports Network and NBC Sports Radio. King will also continue to contribute to NBC's "Football Night In America." "I'm thrilled to be joining NBC Sports full-time after working with the football crew there since 2006. I've loved my time there, both in the studio and doing longer features for 'Football Night in America,' and the chance to bring my column there felt like a perfect match to me," King said in a statement. King added that he loved his time at Sports Illustrated and that it was "very tough for me to leave" but that "the only place that felt like a great fit after my years at SI was NBC, which has always made me feel like a member of the family." King has been one of the most well-known NFL insiders for decades. He's arguably best known "The MMQB," an NFL news page on SI.com, as well as his Monday morning columns about the league. Those columns will now have a home at NBCSports.com. "Peter, in my opinion, is one of the five most important figures in SI history," Chris Stone, SI's editor-in-chief, said in a statement. NBC said that King will also report on NBC Sports' other big sporting events, such as the NHL's Stanley Cup Finals and the 2020 Olympics in Tokyo. King's departure comes at an interesting time for Sports Illustrated. In March, media company Meredith -- which recently acquired SI's original owner, Time Inc. -- announced that Time, Fortune and the iconic sports magazine were up for sale.